Note: EVUK was subjected to a very selectively targeted Cyber Attack in early 2012 in which our entire "Hotwires" folder archive was wiped..
Our lengthy article(with multiple unique/rare video links) re Live Earth, Earth Song, Will.I.Am and the nailing and crucifixion(sic) of Michael Jackson were all vaporized as was Moira G's very popular long-standing piece about the Toyota RAV4 EV in Jersey in the UK channel islands as well her extended visit to California and Hollywood where she interviewed actor-environmentalist Ed Begley Jnr in his RAV4 EV and in his modest solar-powered home and where she also worked for a summer for ZAP(ebikes) in Santa Rosa and interviewed ebike police for EVUK. Yes, a decade ago it was she - and she alone - who broke the UK-EU-wide taboo and tested the RAV4 EV in Jersey(famed as an offshore UK tax haven) and interviewed the island's police and fire services as well as Europcar who rented the EV's to many enthusiastic tourists for several years until it was eventually unpopularly scrapped by Toyota et al. It was largely thanks to Moira G's tireless global EV odyssey, travelogues(USA, Japan, France, UK etc), dialogues over a dozen years ago that CNN and many other mainstream media outlets regularly contacted us for EV insights - unfortunately we always insisted on telling them what they did not want to hear ie. "We'll only respond and assist if you agree to mention Toyota's RAV4 EV and its ongoing very popular trial in Jersey." 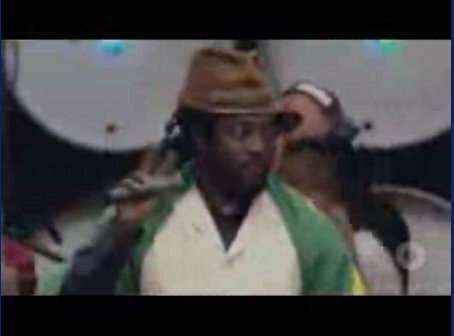 Below is a restored and now extended/enhanced even more 'subversive' version of the Live Earth/Michael Jackson/Will.i.am piece. We're still working on restoring Moira G's "RAV4 EV in Jersey / Jersey Dreamin" journalistic gem. MJ - Too Dangerous ? Too influential ? Too powerful ? 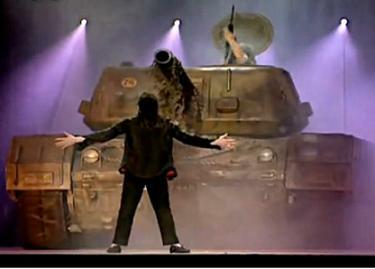 See "HIStory" tour/album and "This Is iT" : on stage and in "They Don't Care About Us" and "Earth Song" - Jackson had the courage/temerity to literally stand up to the TWO most powerful symbols of the Military Industrial Complex and/or War Machine and/or Prison Industrial Complex - Tanks and Bulldozers - and to quote and reference Martin Luther King and his historic 1963 "I Have a Dream" speech. "How Saint Al Gore, the Sanctimonious Eco-Crusader, Lost His Halo (and his wife!)" "in what will go down in history as the greatest demonstration for freedom in the history of our nation." "This Is It" - too "Dangerous" ..for the Usual Suspects ? Travis Payne - Jackson's choreographer- confirms what many had already deduced - watch video interview. "Payne said this tour was going to be different because he(Jackson) wanted to bring attention to the destruction of the planet.."
Hmm... Michael Jackson - and the Final Hit ? (character-) assassinate this inspirational black & white musical icon ? - Dead simple: obviously the simplest and cleverest way to eliminate MJ would have been to employ 'security agents' to clandestinely replace a few of his painkillers and/or sleep-inducers(tablets, vials, bottles, sachets etc) with identically-packaged, identical-looking, specially prepared fortified/extra-concentrated substitutes or duplicates ie. containing for example twice the normal quantity of active ingredient. The administering doctor would simply have acted as an unwitting patsy and would inevitably take all the blame..
All-in-all a triple-whammy, win-win-win for the perpetrators. And MJ himself can be smeared, condemned for the HIStory books and for all time as being twice the pill-popping junkie that he had possibly become whilst preparing for his final Most Dangerous Ever concert tour. And the most likely "perpetrators" - the key suspects ? The usual of course: the fossil-fuelled military-industrial-economic War Machine. What MJ ?! You dared to stand up to tanks & bulldozers - and the forces behind them - on stage ... and you threatened / promised to deliver FIFTY live climate-change-highlighting performances? Tragically, the fact is that "They" really do "Care" about "Us" when faced with a threat of such global and enduring magnitude. 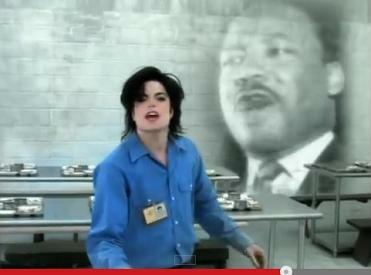 Key lyric from "They Don't Really Care About US"
He wouldn't let this be"
"In what will go down in history as the greatest march for freedom in the history of our nation"
Ah yes, King & The King of Pop. 1) ostensibly the only,er, sensible, credible, non-nutty conspiracy out there - eagerly and shamelessly promoted by the corporate media from the get-go - is that MJ may(well) have been disposed of by malevolent music industry moguls. 2) Jackson gets as much radio airplay dead as when alive ... yet the Grammy-winning Earth Song and They Don't Care About Us are never/VERY seldom heard. 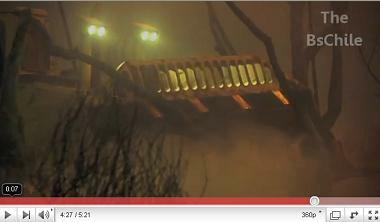 3) The now Youtube'd, maturing green-black, dangerous, eco-activist "This Is It" version of "Earth Song" says it all far more eloquently and slam-dunkingly than we ever could. Every judge & jury should see it before returning a verdict. 4) Al Gore (green crusader, Inconvenient Truth, Nobel Prize, Live Earth) was shamelessly witch-hunted and character-assassinated by our eco-hostile media and by the military-industrial-ecomomic machine it serves. 5) Barack Obama's black Green Economy Tsar Van Jones was unceremoniously removed from the White House for doing his job. Unfortunately the public and most of the Jackson family simply and inevitably/axiomatically fail to understand that the increasingly, evangelically green, anti-war MJ posed a uniquely far-reaching global threat to the environmentally comatose/hostile mindset-norm that the media and our ecologically derelict education systems work so hard to inculcate and perpetuate. - green-black, anti-military-industrial + global name-recognition = (career) death-sentence. Period.